‘‘Dassault Systèmes believes that value and experience today is important than products. They understand that the industry of the 21st century is a network of creation, production and exchange of experiences. They strongly believe that what we’re experiencing today is a global Industry Renaissance. This era is bringing new ways of seeing the world, real and virtual, inventing, learning, producing and trading. Like other industries, the Defense & Aerospace industry is going through a big transformation process. This process is surely rising with digital technologies. Defence Turkey: Can you please brief us on how Dassault Systèmes positions itself in the A&D industry? In which direction do you think the industry is heading and what is DS’s place in it? Across the Aerospace & Defense industry, rising customer expectations like lower project costs, higher standards and increased capabilities, along with growing program complexity make it more challenging to compete. As systems become more complex to design, build and deliver, OEMs and suppliers need to accelerate innovation, drive efficiencies and move to the factory of the future to allow for greater production rate agility. And this surely requires a new way to conceptualize, design, manufacture, test, certify and sustain new air and space vehicles. As a company that was born in Aerospace, we have a deep understanding of the challenges of the industry. 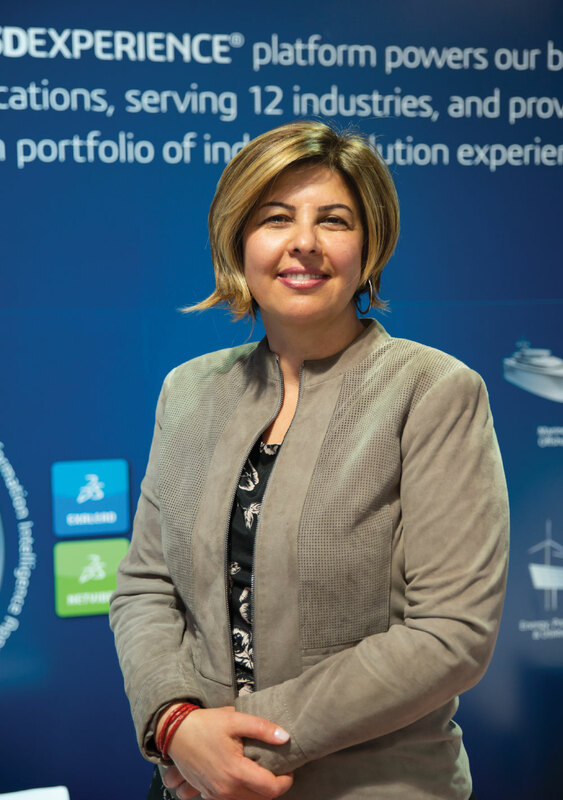 All major players in the industry are already our customers and we are proud to see that the adaptation of our 3DEXPERIENCE Platform in the industry is very significant. Prospects for Aerospace & Defense companies appear bright with the continued growth of commercial aviation and the upturn of defense spending. Leaders must transform to navigate the landscape as new players use technology and non-traditional approaches to disrupt the mature aerospace industry. Defence Turkey: Can you please elaborate on the challenges of the Aerospace and Defense Industry and how you address them? One of main challenges is “growing global defense investment”. An unprecedented period of defense modernization is occurring based on the growing global climate of instability. Countries around the globe are significantly investing in the development of more capable and more sustainable weapons systems to meet perceived threats and support a more modern defense force. This investment growth is expected to last through to 2024 and potentially beyond based on current budget projections. Defense budgets are on the rise again, but concerns remain about the structural overhead and inefficiencies. Defense companies look to improve their traditional development models. Typically, this development approach carries high-cost structures (to carry the burden of cutting-edge development and compliance requirements), long development cycles and a limited ability to invest ahead of the market. Defense contractors must manage programs across the entire supply chain and improve on-time and on-cost delivery. Defense contractors around the globe are incorporating advanced technologies into new weapon systems to achieve significantly greater effectiveness and versatility in manned and unmanned systems. Growing confidence in artificial intelligence, advanced analytics, new materials and advanced production methods will continue to improve system performance while driving down costs. Defense contractors must integrate these new capabilities to deliver against modern warfighter requirements. Our 3DEXPERIENCE platform allows teams to seamlessly collaborate across their enterprise and with its suppliers on programs from defining the initial requirements, developing the systems engineering architecture, developing a system Digital Mock Up (DMU), optimizing designs, planning manufacturing, and testing to complete certification, and more. The platform can help companies rapidly accelerate new programs from concept to takeoff while significantly cutting development costs. 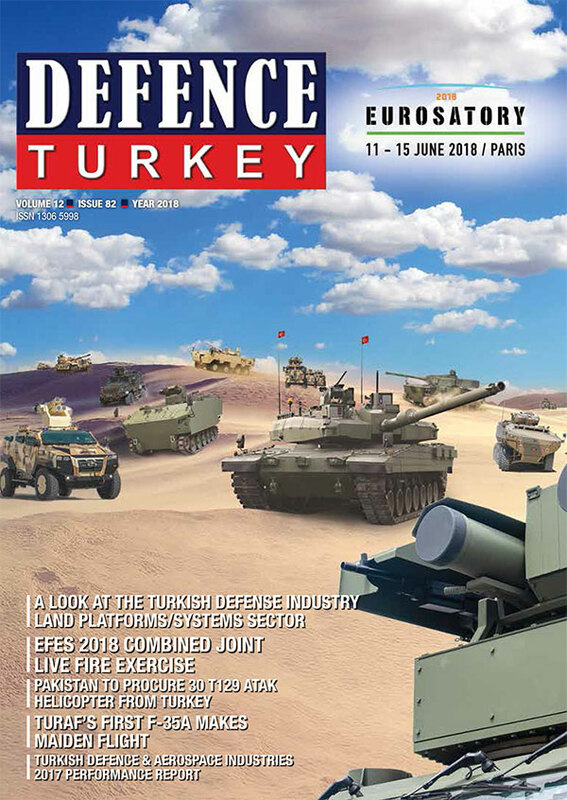 Defence Turkey: Let’s take a closer look at your solutions for the A&D industry. One of these solutions is called “Co-Design to Target”. What are the main benefits of Co-Design to Target? Dassault Systèmes solutions that support a global effort to significantly reduce the development cycles within Aerospace and Defense are all based on the 3DEXPERIENCE business platform. Referred to as Industry Solution Experiences (ISE), each major phase of a program is addressed including the conceptual phase, detailed design, testing and certification, manufacture, sales and operations. Each of the following ISEs delivers significant value individually, but the combined result will further accelerate industry transformation from concept to take-off. Co-Design to Target is a solution that enables companies deliver aerospace programs on-time, on-target and to specification through managing all detailed design and testing efforts on a single platform. Today, over 50 percent of programs are delayed due to late stage issues being discovered in the manufacturing process which could have been prevented in the design phase and it is often very difficult to identify potential issues before the final system is assembled. Co-Design to Target allows Original Equipment Manufacturers (OEMs) to integrate disparate tools, organizations and processes into a single stream to optimize form, fit and function in an integrated System Digital Mock-up (DMU). This System DMU can avoid many of the integration issues that significantly impact the cost and schedule of a program. I can shortly summarize benefits of Co-Design to Target as; Real-time program management, as stakeholders can stay appraised of program status with an instant view of all key performance indicators with full traceability to deliverables, which in return reduces the costs while improving the quality. Improving the overall program execution through multidisciplinary simulations to ensure delivery of performance, reliability and cost targets is another benefit. As a final point, our customers can achieve manufacturing excellence by efficiently integrating and validating engineering designs and manufacturing installation processes through functional digital mock-up to avoid costly late-stage issues. Defence Turkey: Winning Program is another solution of yours. Which industry processes do you cover with it? Since 70 percent of cost decisions made during a program’s concept or preliminary design phase impacts 80 percent of total lifecycle cost, companies that make the right choices in this early phase will have the most success. Winning Program allows aerospace and defense companies to define new offers or win new business by exploring 1000x more concepts virtually, optimize designs for cost, performance and manufacturability and ensure it can be delivered on-time and on-budget. Companies can conduct comprehensive analysis of required system engineering choices and conduct associated trade studies to fine tune the accuracy and fidelity of each proposal or offer. Winning Program also captures the end-to-end process, allowing companies to reuse key processes or elements while minimizing the time spent on tactical proposal and program management. Now aerospace & defense companies can spend more time on product innovation instead of proposal management. Winning Program allows efficient and effective bid development, by creating and validating your proposal with fewer resources by leveraging a single platform. You can design the programs to be delivered on-time, on-budget, and on-spec using advanced simulation and visualization. At the same time, you can explore 1000 times more design options that best meet the requirements as well a budgetary and time constraints. You can also shorten ramp up cycle by validating concepts during the bid phase to reduce downstream detailed design and production efforts. Winning Program increases success rates of new concepts and bid proposals by uniting the proposal authoring, concept alternatives definition and analysis trade process on a single business platform. Companies can develop the best proposal to meet customer requirements at the right balance of capability and cost. Defence Turkey: Do you have solutions targeting the needs of SMEs (Small and Medium Enterprises)? Can you please explain how Dassault Systèmes can help SMEs and support them? We know that today, small and medium Aerospace and Defense suppliers face significant pressure to improve gross margins, revenues and market share. The number of companies competing for business is rising while Original Equipment Manufacturers (OEMs) demand higher production rates while imposing just-in-time delivery of parts and systems requiring greater production flexibility from suppliers. Our solution “Engineered to Fly” allows small and medium suppliers to grow their business profitably from bid to delivery whether they use it in their office or on the cloud. Better execution of in-house processes begins with the storage of information generated from the beginning of the proposal process to the end. Because stored information is reused, companies spend less time on tactical bid management. In this way, companies can respond to a greater number of RFQs and RFPs in a more timely and cost-effective manner. In addition, thanks to the digital continuity provided by the 3DEXPERIENCE platform, the functions within the process (ie, sales, engineering, simulation, manufacturing, quality control) are integrated and the complexity of product development is reduced. Thanks to the digital continuity between functions or throughout the entire process, aviation and defense suppliers can achieve higher profitability by shortening the design time; Early identification of problems can lead to quality improvements, reduced number of spare parts, and optimization in production. 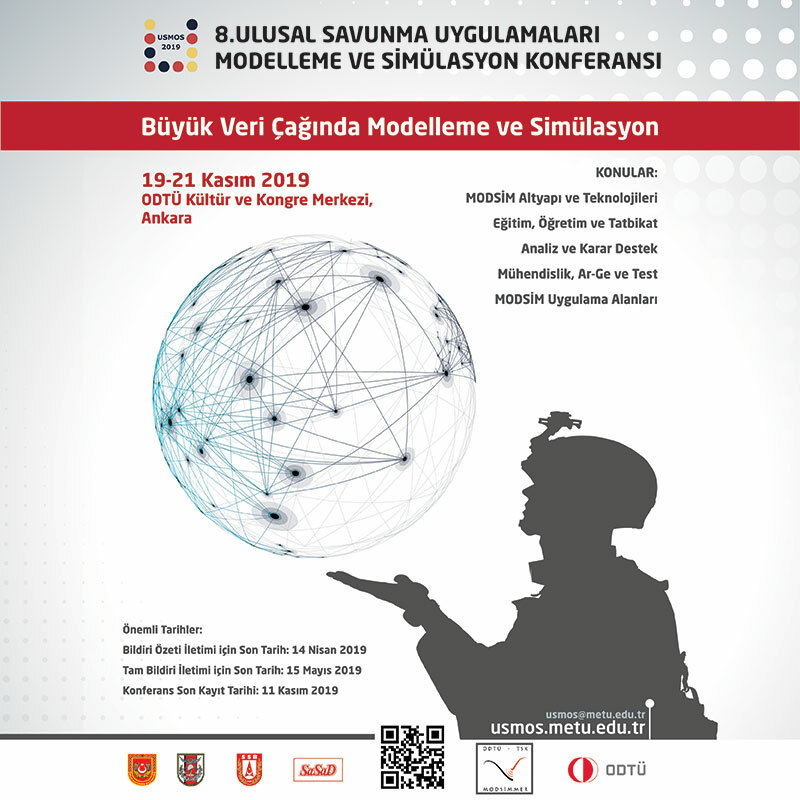 I’d like to mention that we have been an important partner of Turkish Aerospace and Defense SMEs for a very long-time year and we are always looking forward to helping them in their digitalization journey. Defence Turkey: Turkish Aerospace and Defense Industry is carrying out many important defense and aerospace projects and the future plans look promising. How can DS support these projects and plans? In Turkey, Defense and Aerospace Industry is receiving a special attention from the state and private investors. In order to increase the size of the industry, the ecosystem needs to be elevated as a whole. It is obvious that the big National projects can be the major driver for this transformation. As Dassault Systèmes, we believe that this kind of transformation can only be possible with the use of the state of the art - innovative technologies. Thanks to our technology and investments in Turkey, we are working very closely with nearly all players and stakeholders, in order to help them achieve their business objectives. Defence Turkey: Would you like to convey any message for our readers? Our vision is, as clearly explained by our CEO Bernard Charlès, is to provide business & people with 3DEXPERIENCE universes to imagine sustainable innovations capable of harmonizing product, nature and life”.